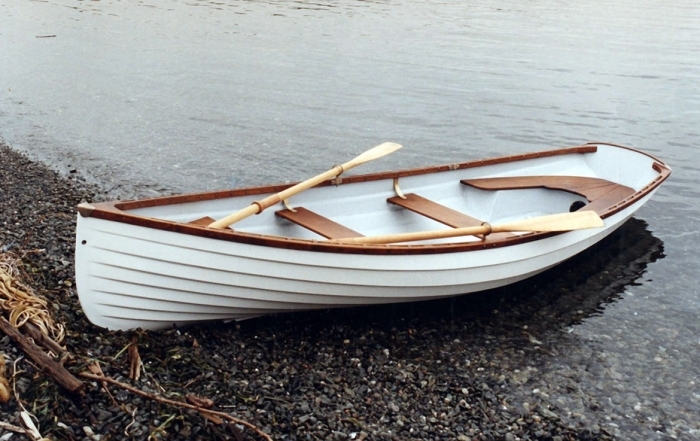 These superior boat dollys are designed and built by Whitehall and easily cross sand, gravel, or cobble beaches on tubeless pneumatic tires. They feature real bunks and a winch for easy loading, with provision for bow alignment and perfect balance for effortless maneuvering. Corrosion-proof plastic rims and bearings. A trailer hitch is available for towing with an ATV. They are not intended for road use or speed over 10 mph. There are specific dollys for each boat model. Call for details. 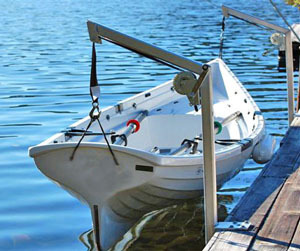 Made of slippery Starboard® copolymer, this is the easiest way to launch or retrieve your boat off a low dock. Simple with no moving parts. 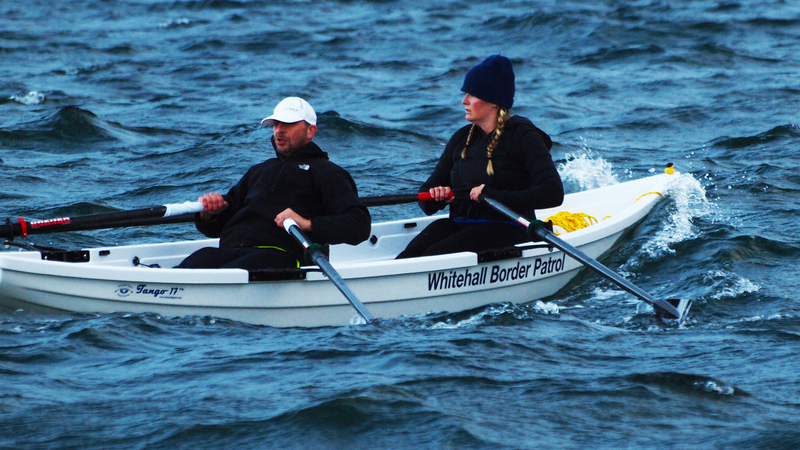 It’s been used for years for this purpose on the fleet docks of the Whitehall Spirit® Rowing Clubs. Call or email for more details if you have any questions about keeping your boat on a dock. 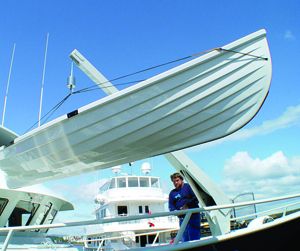 These are custom built to suit particular deck situations on larger yachts. 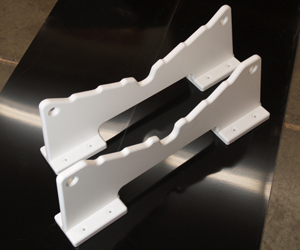 These maintenance-free polymer boat chocks are available for each model and are are custom built to suit particular deck situations on larger yachts. A dock bunk is a great way to keep your boat on a dock and makes it easy to launch or retrieve. Hand-crafted from Starboard® copolymer. 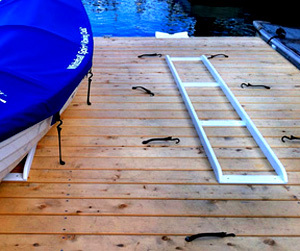 The dock edge slider (see above) makes it even easier to handle the boat on and off the dock. 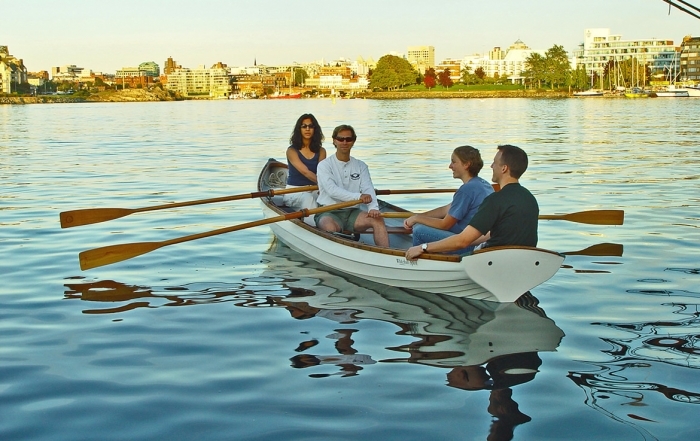 Anyone in reasonable shape can easily haul a Whitehall Spirit® 14′ or a 17′ up onto a dock up to 183 (46mm) high. Stretchy bungees make putting the covers on fast and easy. 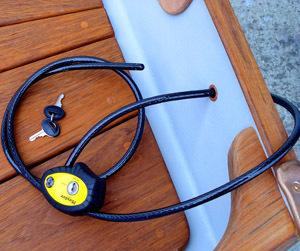 This cable lock is just the thing for securing your boat against theft or unauthorized use. Run the cable through the bow or stern eye and around a fixed object or through a cleat or eyebolt on the dock, trailer, or bigger boat; back through the lock, and turn the key. Built in our shop out of tough heavy wall aluminum and fitted with a pair of ratchet winches, this davit system makes hauling your boat clear of the water uncomplicated and easy. Ideal for docks where installation is possible. A pair of Spectra lifting strops will be needed to hang the boat, and possibly also a pair of gunnel spacers. Call for details. 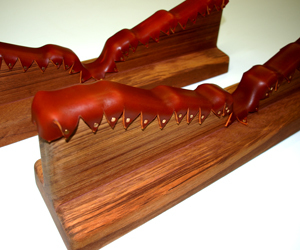 Custom strops for internal lift eyes for each with tested snap shackles. Made from braided Spectra line, these are ultra strong (8000 lbs+) and can easily handle lifting your boat utilizing the lifting rings. Custom lengths available for specific needs. Your boat can be left hanging in davits ready to launch easily, or lifted into its storage bunks or chocks. Call us for more details. 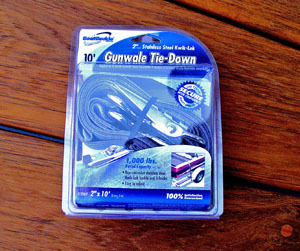 Here’s the best adjustable web strap available; ideal for strapping your boat down to its trailer. It is 2″ wide by 10′ long and the ‘Kwik-loc’ buckle is corrosion-resistant stainless steel. 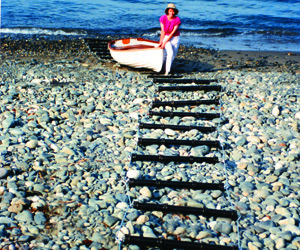 End heavy lifting and reduce effort by up to 90% using our patented Boat Slider tracks. 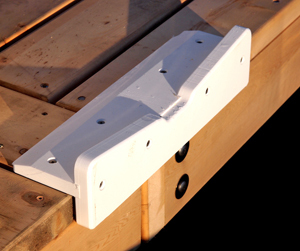 Ultra-slippery plastic skids (not rollers) save your boat’s bottom and your back. Circular flanges located on the skids keep the boats’ keel tracking on center. Stainless steel and high density plastic components, combined with the flexible nature of the assembled track, enable it to handle wear and wave action in reasonably exposed locations. Anchoring is necessary for prolonged installations. Where winter ice up is a problem, removal is quick and easy. 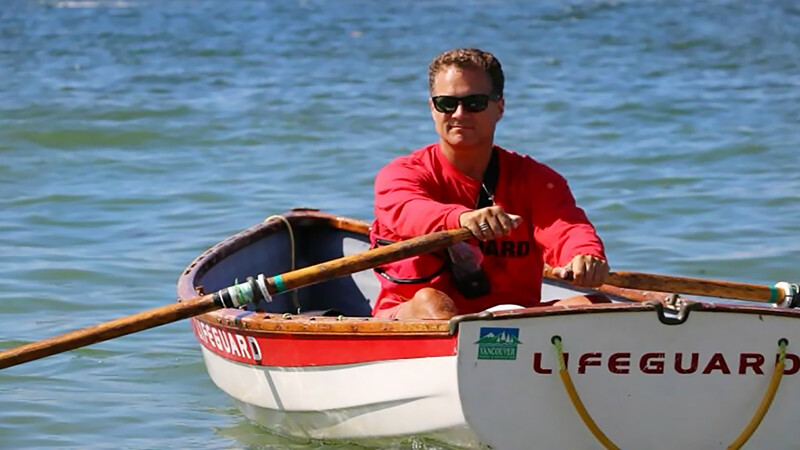 Tested and proven for over twenty years on west coast salt water beaches. Not recommended for soft sand beaches. 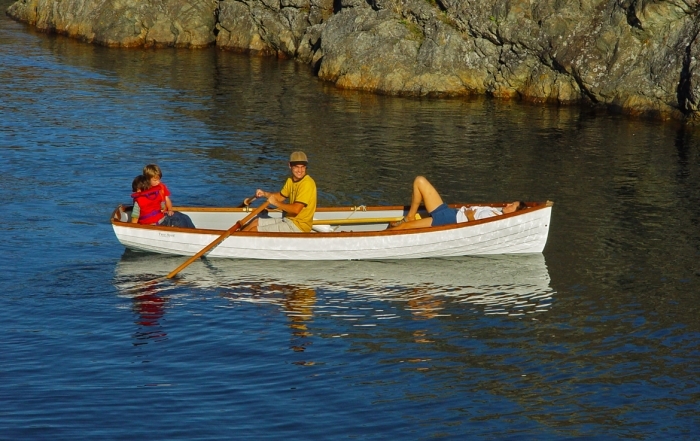 For soft sand, gravel or cobble beaches we recommend one of the boat dollys shown above. Go to the Boat Slider Trax™ page for more information.